Achieve spectacular long lashes and fuller eyebrows naturally, thanks to this breakthrough technology. 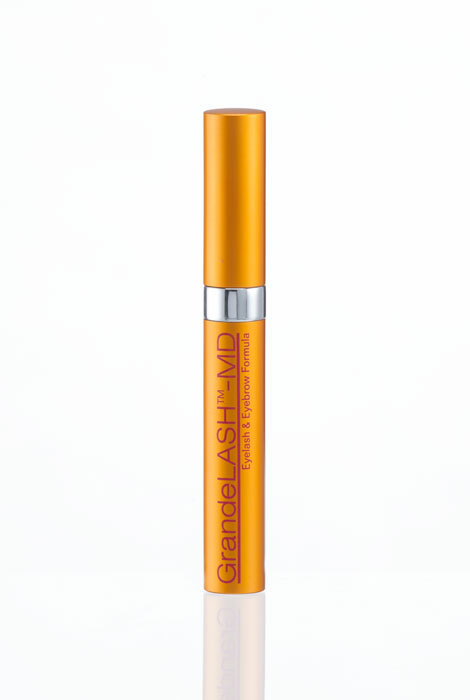 GrandeLASH-MD is a safe and proven lash and brow enhancing serum. The paraben-free, clinically tested eyelash serum uses nourishing vitamins, peptides and amino acids, plus conditioning ingredients, to promote shiny, longer-looking lashes and fuller brows. Healthier and stronger lashes are only weeks away, thanks to the stimulating growth of prostaglandin I.C. This incredibly effective ingredient works by promoting new hair growth from the root, so you’ll see an enhancement in length, thickness, darkness and fullness of lashes and brows in only 30-40 days. The easy-to-use applicator goes on like liquid eyeliner, so application is practically foolproof. In tests, an incredible 89% saw definitive improvement in appearance. For best results, finish the entire tube, a 3-month supply. 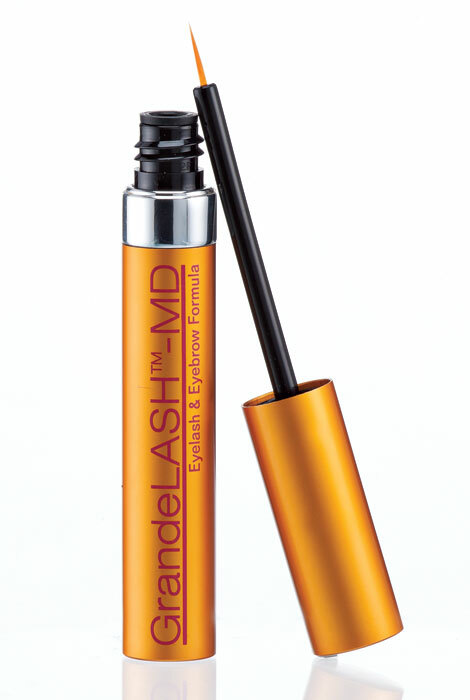 After cleansing your face apply GrandeLASH-MD like a liqud eyeliner on your upper lashes before bed. I used this nightly and my skin turned red and became very sensitive. Then my lashed fell out! Because it really really works on growth of my lashes. This product works, great results. I have had very good success with this product. I first learned of it from my local spa. I have used this product on my thinning almost non-existant eyelashes now for several months and my eyelashes are so thick and long. It really works. I love it and will uses it forever! Mysisterordered it and said it works. I've used this before and love it! I have used this product for at least a year, and it works! I've used this product before and it really works. For more volume in my eyelashes. Used it in the past and want to start using again. currently use it and it works! Have purchased before. It works and I love it. This product actually work. My lashes are much longer and fuller, look like I have false lashes.